She's Sew Crafty: Teenz Rock! Team B will be starting off our new fortnightly challenge with some awesome teen cards for inspiration. We have two sponsors this fortnight! 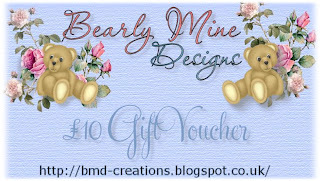 and Bearly Mine Designs with a £10 Gift Voucher! I hope to see lots of entries with this fortnightly challenges and if you need inspiration you will find it for sure on the Kenny K blog. The ladies have done a phenomenal job with the Teenz Rock theme!